One day earlier this summer I was at the store with my 4 year old. She spotted a box of Otter Pops, and had never had one so she kept asking me about them. I decided to buy some as a hot summer day treat- little did I know I had opened Pandora’s box! I don’t know if it was because she had never otter pops before, or if it was because they are a cold treat on a hot day, or just what the deal was, but she became obsessed! Every time she went outside she thought she needed an otter pop. The real otter pops are basically just sugar and water. Not exactly something you want your child indulging in every single day. 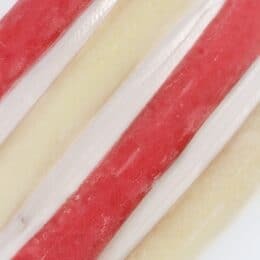 I started doing a little looking and found a company that makes otter pop packaging – Zipzicles! We decided to make our own healthy otter pops. To make these, all we did was combine our ingredients in a blender. Then you use a funnel or some kind of narrow pitcher to pour your mixture into each bag, and freeze! So easy. Find them on Amazon, here! Use ripe, in season fruit and they will be naturally a lot sweeter. Make a fruit or veggie smoothie and pour the leftovers into these Otter Pop molds for a quick treat! If you want a creamier texture, add a banana, coconut milk, or Greek yogurt. Add lemon juice, lime juice or blended raspberries to make a more tart Otter Pop. If you have a fruit that is not very sweet, use honey or maple syrup to sweeten. Blend until smooth. Pour into pop container and freeze. My kids love pops! Would love to try and cut the sugar! Otter pops ARE my favorite frozen treat! Thank you so much for these recipes! My kids love homemade popsicles. Can’t wait to try some of the recipes on the zipzicle website. I also liked their facebook page! My kids love everything frozen! Frozen Lemonade, Pops, or just simply frozen fruit! I would love to win these and cut out the junk! Thanks for the giveaway! My kids love our homemade strawberry Popsicles! My daughter loves frozen yogurt pops and frozen blueberries! My girls are Popsicle fanatics! Any kind of frozen treat they love! Would love to try these & make our own! My kids love frozen treats in general! But they’re always asking for popsicles. These would be so much fun! my kids love frozen smoothie pops! My son loves anything with frozen yogurt! My kids love almost anything frozen. We love to be creative and try new recipes or make up our own! Would love to try these! My daughter loves popsicles but i’m not a fan of how much sugar is in them. Would love to try these. My son LOVES the creamy strawberry pops!!! Ice cream is their favorite frozen treat. We’ve been loving popsicles too this summer – esp just plain, frozen fruit juice. My daughters LOVE frozen yogurt and smoothies… what could be better then it all together in a pop form?! Would love to give my 2 year old something sweet without the sugar to help cool off in this muggy summer we are having. She would love the Pina Colada pop! My children love homemade vegan ice cream and popsicles :). I would love these! I make smoothie pops but the container doesn’t work well so would love these! My kids love frozen ice pops and it’s hard to find 100% juice ones. I also love them in the winter for sore throats. Would love to make my own. My kiddos love push ups! I am looking with this kind of wrapping for popsicle/zipcicle. In the Philippines, stores sells like this and when I visited there I always buy a lot of wrappers and so I can make for my kids. My kids love homemade berry Popsicles 🙂 excited to try these recipes. Thanks! My child is still on breast milk only but loves to teeth on frozen items and this would be awesome for the transition to real foods! My boys love yogurt or ice cream pops!! Oh how awesome are these. My son wakes up and runs to the freezer outside and brings me the otter pop he wants for breakfast. (Which we then battle over because of course he is t having one for breakfast.) but all my kids love anything frozen. MY Daughter Loves Strawberry Banana! My kids love frozen yogurt pops! My kids love smoothies and frozen chobani champion tubes! It would be awesome to make our own!!! My kids love frozen yogurt pops!! Mango coconut orange smoothie pops are my boys’ favorite. 🙂 They’d love these. What a great idea! Perfect! My kids fav treat are Popsicles … and so on point here, I hate all the sugar in them! I would LOVE to try these but my boys love purple so I’d have to try a recipe with blueberries 🙂 Yum Yum! I love these recipes! I have reusable silicone containers for making ice pops that I bought on Amazon. They are awesome! I love this product idea so much! My daughter can’t have regular Otter Pops, because she’s allergic to artificial dyes. And every time we go to a parade, someone passes them out and she has to be reminded that she’s not able to try them. I will be investing in a set of these for sure. For now, I’d say her favorite frozen treat is good ol’ ice cream. We love frozen smoothie pops! I liked you on Facebook. What an exciting product! My daughter loves frozen popcicles and these “freezie” type are so much fun! Strawberry is her favourite. 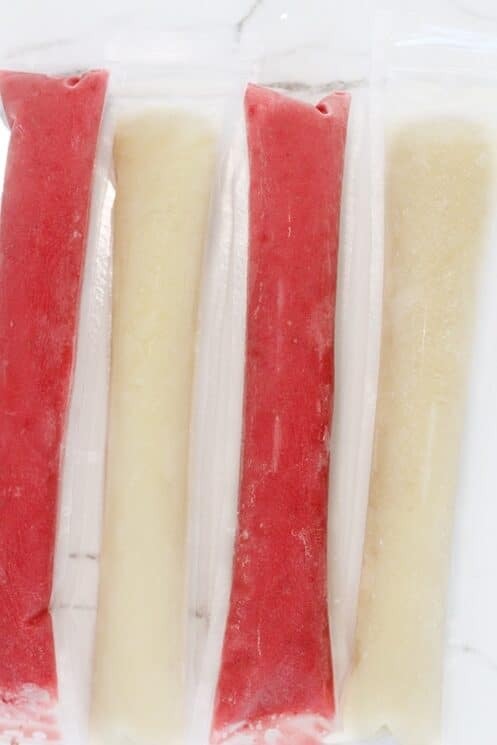 Kiddos love my homemade smoothies but these Zipzicles would be an extra special and healthy treat! My kids love pops but I have never tried to make them and think that it would be a nice change for the kids! I would love to try these. We try to eat clean but I have not taken away ice cream/popsicles from my kiddos yet. KNOW I DON’T HAVE TO THANKS TO YOU GUYS!!!! I love this idea! My kids love frozen OJ. I liked on Facebook too! My kids love all forms of frozen treats, especially the popcicles with all sorts of nasty dyes in them. YUCK! Lately I have been making smooties and freezing those so these containers would be SOO helpful!! My daughter loves creamy fruit popsicles and chocolate ice cream the most. My kids love milk shakes and fruit smoothies! Love the idea of making my own otter pops! My kids LOVE popsicles and eat TONS of them! Can’t wait to try some of these recipes! My kids love kinds of frozen treats. I would love this and my kids would definitely love them! Love these! I need to try them! My daughter loves frozen fruit such as the pouches …i just put it in the freezer. My kids love ice cream! 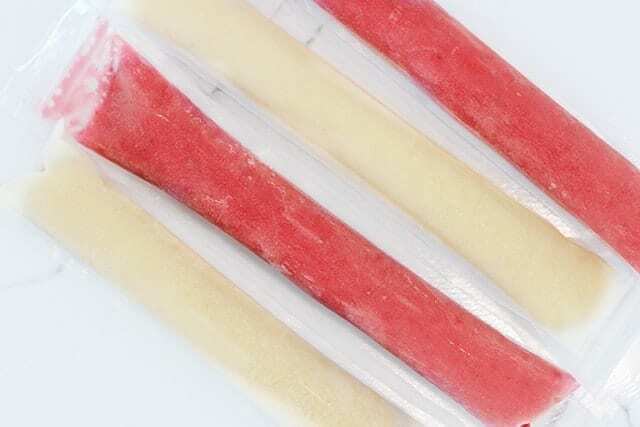 We haven’t tried otter pops yet, but I think they would love these homemade zipzicle recipes! Ice cream is the kids favorite and the parents too! This packaging would make it even more fun! Thanks for letting us know about it! Strawberry Yogurt is our favorite flavor!! strawberry and banana flavor…I would really love to try these!! I had no idea these existed! My kids love cool treats, but so far, I’ve had bad luck with my Zoku and we’ve just been eating Breyer’s ice cream in moderation. My kids would love this! They love freezer pops and homemade popsicles and this would be perfect combination of the two. Strawberry is a favorite around here and is banana. My kids LOVE any kind of frozen treat! My Rosie loves ALL fruit frozen… mostly banana and strawberries!! These are a great idea! My kids’ favorite frozen treat is the homemade ice cream from the creamery a few miles away. I’ve never heard of these before…how awesome!! I just liked them on FB. Crossing my fingers!! what a cool idea for summer treats! It’s difficult to pick a favorite, but we really like the simplicity of just freezing V8 Berry Blend or Naked Juice Red Machine. my daughter gobbles the creamy strawberry ones right up. My daughter (age 3) loves frozen fruit, Popsicles, ice cream, you name it! My kids love Otter Pops! This is such a great idea…I had no idea there was such a thing as Zipcicles! I’d love to try these! One of our favorites this summer has been homemade Strawberry Lemonade pops. YUM! We love frozen bananas and they’re so easy too. The Zipzicles look great. Thanks! My son has had cancer, and I want him to start eating healthier .. this would really help 100% .. He would probably like strawberry anything ~! My kids love coconut milk and chocolate pops! I’d LOVE to try making these on the Zipcicles! My kids love popsicles! The recipes sound so good! Great idea! Frozen water with some honey, lemon and pieces of fruit through it. Looks really good with all the fruit chunks through it! My kids love ice cream but making juice and freezing it in this container would be so much better for them. I have one that loves popsicles, with all their sugary goodness. The other wold probably take ice cream over popsicles, but any frozen treat will do for him. So cool! It’s one of those “why didn’t I think of that?” products!!! My kids would LOVE a creamy strawberry banana, I can’t wait to try the pina colada! Thanks for the recipes! My Kids love pops like this, and I’d love to make them ones which were more healthy! This would be amazing! We are all about greek yogurt and berry pops! My kids love homemade strawberry, spinach and honey ice pops. They would love these too! Fresh mint, honeydew melon, agave and some ice. Very quickly smushed in the vitamin. These look perfect to put all of our concoctions in!! Yum! My kiddos love orange, pineapple, banana! I can’t wait to try these! My kiddos love Astro Pops, I can’t wait to experiment using these zipzicles to find a “healthier” alternative. Fun! My kids love anything frozen. I’d love to cut down on sugar making my own! My kids love freezies but I never buy them. What a great idea! Can’t wait to try these. Frozen yogurt pops!! First time ever seeing these! Wow~Got to try them! Love the pops hate the sugar. Love your recipes too! My boys love our homemade fudge pops! My kids LOVE coconut anything! These would be great for strawberry coconut goodness! My son loves otter pops, but I hate the sugar. These look awesome! Our current favorite is mango lemonade Popsicles. Our favorite is freezing leftover green smoothies. Don’t like green? Add blueberries. Just the right amount of sweetness (all natural, of course!). Want it sweeter? Add raw honey. Blend with 4-6 fruits and veggies! Any kind of popsicle. I just got a Zoku for my birthday so we are excited to try that but these look awesome! My family loves Greek yogurt pops. I add blueberry & honey to sweeten and they get devoured. My kids would love homemade banana or rootbeer pops! YUM!!! I would love a chance to win these. My kids love Ice Cream and otter pops. Thanks. My kids love strawberry lemonade pops! My kids LOVE freeze pops but I don’t like how much sugar are in them. I would love to make my own healthy version with these container bags. My kids love popsicles and we make our own all the time but these would be great because they always like the plastic wrapped ones! My kids love ice cream! I so need these. My kids love frozen treats. All of them, and I’m such a meany and say no. These are awesome! My kids love strawberry pops! Mmmmmm! Perfect for the summer heat. My boys love smoothies, a nice cool treat for the hot summer days! Smoothies! I’d love to put the smoothies into these containers! 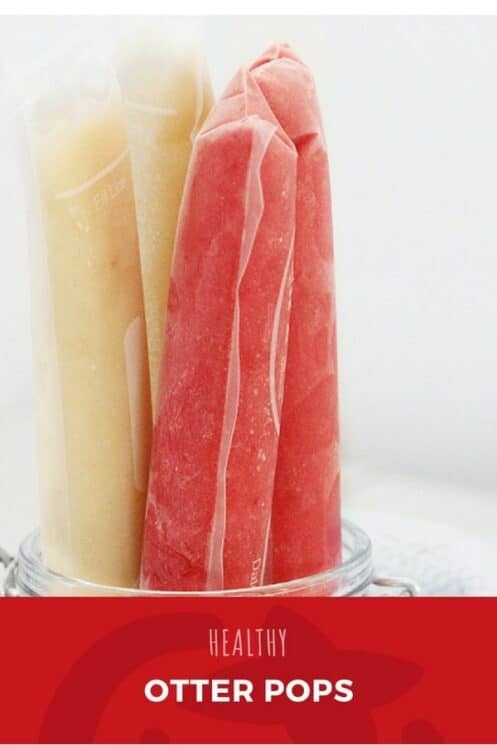 We love making our own homemade popsicles….these would be fantastic to have!! Thank you for the opportunity to own some of these great Zipzicles!!! My son loves the smoothies that we make in our blender, using strawberries, bananas and any other fruit we have onhand. And having these Zipcycles on hand would be perfect, because we could fill them up with any leftover amounts of smoothie! My son loves the smoothies that we make in our blender, using strawberries, bananas and any other fruit we have onhand. 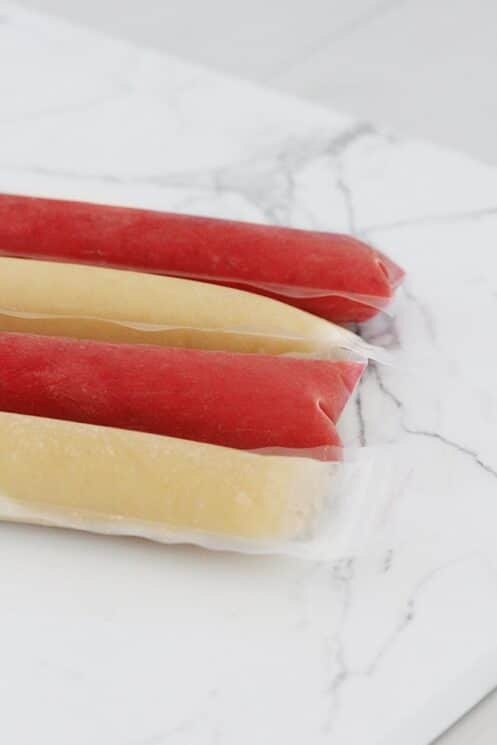 And having these Zipzicles on hand would be perfect, because we could fill them up with any leftover amounts of smoothie! My kids love strawberry rhubarb. With some almond yogurt….my son is allergic to dairy and 5 other foods too. We have been using our juicer a lot with fruits and veggies. The kids don’t always love to just drink the juices, but if we freeze them in pop form, they gobble them up! My girls LOVE popcicles…..strawberry and grape the most. I’d love to control the ingredients and add some healthy stuff to their treats! I “liked” the Zipzicles FB page. We like filling up our retro tupperware ice pop molds with 100 percent juice blends. The pina colada recipe sounds awesome! This is brilliant! we’ve been doing snow cones with sugar-free flavoring. These are awesome! My kids love most popsicles, but especially pineapple mixed with coconut milk. They request “healthy popsicles,” because it’s such a treat that I’ll let them have them for snack and dessert in the summer. My son loves frozen treats in all flavors! Awesome giveaway, thank you. definitely blueberry, and it’s a superfood! My kids always beg for Otter Pops, too! But I just can’t stomach the idea of them eating all that sugar and artificial stuff, so usually we stick with making our own popsicles or buying the 100% fruit kind. My kids’ favorites frozen treat are popsicles or orange creamsicles. my son loves berry yogurt popcicles. i have been making my own in freezer pop style but these look less messy. My son loves frozen raspberries with yogurt centers. He eats them like candy! My kids love otter pops when other people give them to them. I never buy them because of the sugar and food dyes! I would LOVE to win! My kids LOVE pops!! Lime is his favorite- I would love to make my own for them! We love to make homemade Popsicles but using these would be less messy! My kids love anything frozen, popsicles, smoothies… they would love trying these! My kids love when I freeze smoothies into popsicle molds! I would love to offer these to my niece and nephew! My kids love anything homemade & frozen!! 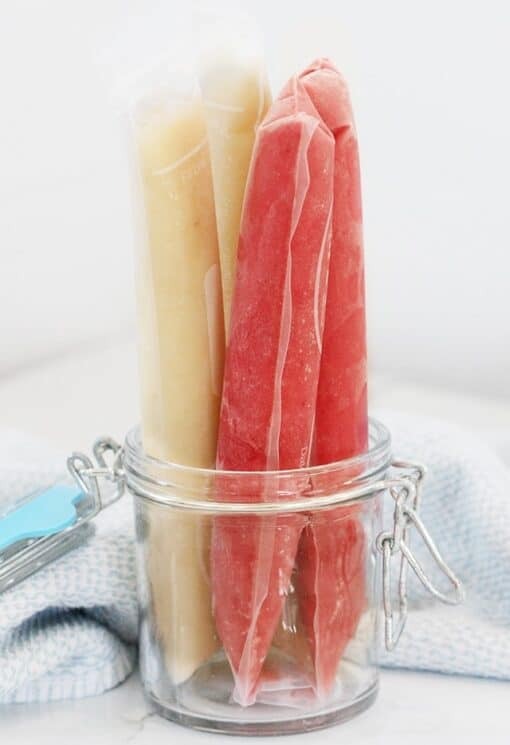 My boys love all kinds of popsicles, I would love to make them homemade! My kids love fudgescicles and otter pops, but since we’ve started eating healthier we haven’t been buying them. This is a great alternative! Last summer, my kids were obsessed with Otter pops that they got at camp and I refuse to buy them! I would love to try making a healthier version at home. Their favorite ice pop is mango, banana, carrot and plain Greek yogurt–reminscent of a creamsicle! I will be trying your recipes, too. My boys love Popsicles, but we have cut out artificial food coloring from their diet since one has ADD they have not had any this summer. They would love this living in Las Vegas. Chobani Champions, frozen, are our favorite. Kind of packaged like a Zipsicle! This is a brilliant product idea! My daughter’s favorite frozen treat is ice cream sandwiches, but she’d love a zipcicle, too! I need these for my son who is allergic to everything (sugar, soy, dairy, wheat, corn, sulfites, chocolate)! I make him pops in other stuff but he totally misses having otter pops like other kids and sucking out the sweetness. I have never seen these and can’t wait to buy some and surprise my little man here soon! I love this idea, my daughter loves fruit but I don’t like all the sugar in frozen pops. I made some pops yesterday with my niece and she loves the strawberry lemonade! Oh yeah! Those are awesome – my kids love those freezer pops, too, and I’d like to be able to offer a healthier pop. Especially since much of the natural or sugar-free stuff has other additives or is too expensive for my budget. My kids would love mango pops! My three boys LOVE the strawberry pops we made out of the strawberries they picked. Pick me! Pick me! I have 2 little girls that would LOVE to make homemade, healthy squeeze-pops! I’m so looking forward to making these for my daughter. Sadly I don’t think my kids have ever had a popsicle but they do love ice cream! I’d love to share with them the fun of otter pops without sharing all the sugar! my kids and I made some rocky road popsicles, and they love any fruit, juice pops I give them! My kids love frozen pops, however it would be really nice be to able them healthier options to what is available in stores. If I was able to make my own at home I would be more willing to let them have their favorite treat everyday! OH! We LOVE pops at our house! Would love to win these! Will probably (definitely) buy some, even if i don’t win! We love having a cool treat in the freezer in the summer! My son love ice cream. His favorite is chocolate but I bet he would et any flavor in front of him. my kids love good ‘ol otter pops. I love the idea to make your own! My girls love frozen yogurt! I am excited to try the zipcicles, they look amazing! I won’t buy the otter pops because of all the sugar and coloring. My kids love ice cream. It would be great to offer them some healthy alternatives. My little one loves plain yoghurt frozen – these would make ti so much cleaner to eat than in little shapes, or with a spoon! Frozen Strawberry and yogurt smoothie pops. These look really cool, smoothies would be our favorite. Right now it’s mango or strawberry pops!! Like Zipzicles on FB!! This is a great idea. My son always wants me to buy him otter pops because he loves Popsicles. I would love to be able to make my own. Coconut and piña colada pops! These would be so great to make my own healthier popsicles! Can’t wait to try this awesome invention! Oh my! That’s awesome! I’m going to have to look into these! my kids love frozen kefir pops! Yippee, this is AWESOME! I like to make ours with 1 c. of fruit puree, 1 c. apple juice, 1 c. homemade yogurt. The kids love frozen smoothies and frozen yoghurt. Acctually, not just the kids. I eat my fair share. My kids love any kind of popsicle! Me and my kids love pops. Specially the strawberry flavor, it makes our day. So easy to make and so yummy. The favorite here is coconut orange creamsicles. The kids’ current favorite treat is frozen healthy homemade reece’s peanut butter cups. I have a question though: what do you substitute the yogurt with since my girls are allergic to dairy and soy…? Where do you get the zipzicle bags? We made both of these, and that are both huge hits at our house! FYI Wendy, you can order Zipicles online. Amazon has them. I had ordered some last summer and didn’t get around to using them until now – now I am going to need to order more. Good idea. With all the focus on children’s health, you may want to mention choosing organic strawberries over conventional considering 1) strawberries are loaded with pesticides, and 2) the WHO recently listed glyphosate (roundup – which is used on all kinds of produce) as probably carcinogenic. And these pesticides don’t just wash off since they are absorbed into the fruit.